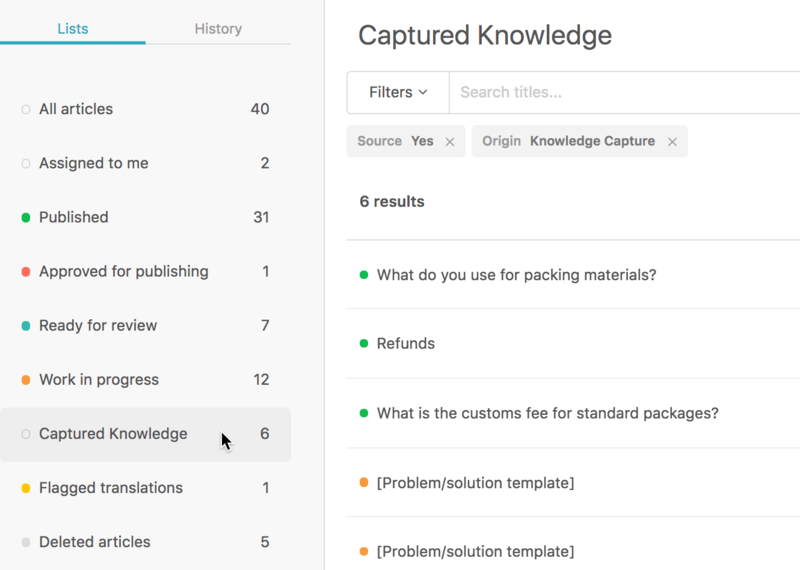 If you create articles using the Knowledge Capture app, Guide Managers can view a list of all articles that have been created using the Knowledge Caputure app. This can be useful for reviewing or assigning new articles. You must be on Guide Enterprise and be a Guide Manager to view the Knowledge Capture article list. Your All articles list opens by default. A list of articles created using the Knowledge Caputre app appears. If you'd like to view an article in the list, click the article's title. The article opens in edit mode. From there you review the article or assign the article to another user, if you'd like.